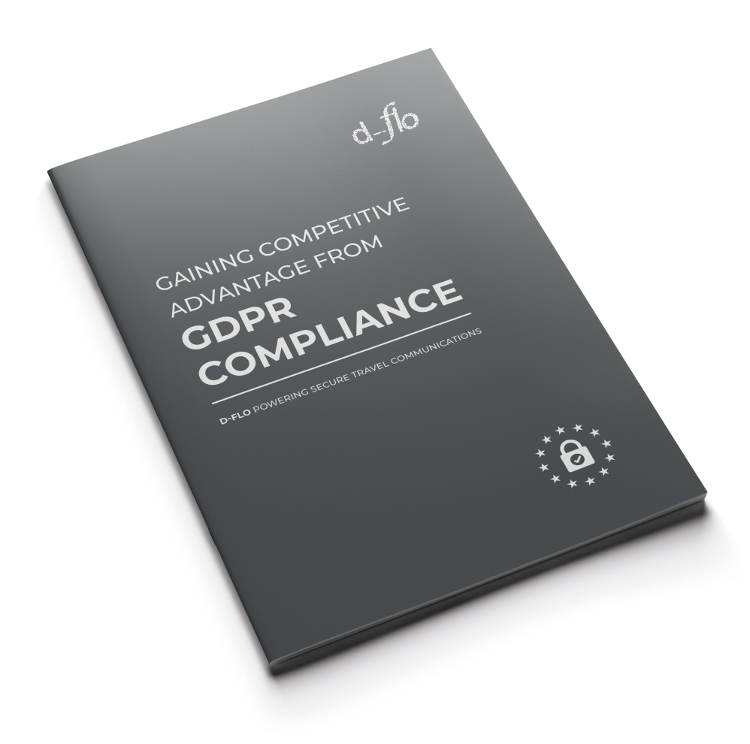 d-flo, the innovative customer communications specialist, will be on hand at TTE to offer advice and distribute a takeaway guide explaining how businesses can turn GDPR compliance to competitive advantage by using the right customer communications processes. London, 19 February 2018: d-flo Limited will distribute a free easy-to-understand guide titled ‘Gaining Competitive Advantage from GDPR Compliance’ at its Travel Technology Europe (TT45) stand on 21st/22nd February. The requirements stipulated by GDPR regulation are designed to safeguard an individual’s personal data and set to become law on 25th May. The new regulation presents a challenge for travel businesses due to its requirements for secure handling of customer data and customer consent to use their data for marketing and other services. It has always been essential to ensure customer travel documentation is secure and protects a customer’s personally identifiable information. GDPR will now make it equally important for the underlying processes for creating and delivering documentation to be secure. Companies will need to be able to prove their entire end-to-end processes for travel documents are unassailable. However, GDPR doesn’t have to be a headache that purely diverts business focus and resource. d-flo’s TravelComms travel communications platform provides a great way to implement a seamless customer experience with enhanced data security. TravelComms also offers a more intelligent method for travel companies to target individual customers with relevant ancillary products and services within the booking journey – removing the challenges posed by the new EU regulation on conventional email marketing systems. d-flo’s TravelComms platform has been widely adopted throughout the UK and Scandinavia and by ATAS members, including Great Rail Journeys, Hurtigruten, Neilson Active Holidays, Riviera Travel and SuperBreak. For further information on d-flo and TravelComms, contact d-flo on +44 (0)20 3582 5210 or via info@dflo.co.uk.